For centuries, the “family home” was a place where a family would live for decades at a time. Earlier THIS century, the typical planned length of home ownership for a single property in the United States was just one decade. A rocky economy and unstable housing market have led many families to get back to basics and examine their needs versus wants, particularly in relation to whether or not to move. As more and more people make the choice to stay in their current home rather than make the move to shiny new digs in the same town – the need for renovations has been on a steady climb. While some choose simple upgrades to their kitchens, bathrooms, or flooring – many are electing to GROW their space in order to better meet the needs of their growing family. Unless you have a basement to finish, growing your space may well require a room addition. The addition of an entirely new room to a home may seem a daunting task to some, but with the help of a qualified home builder/renovator – it can become the best “move” you’ve ever made. Determine the Need: Would your family benefit from a new home office, an additional bedroom/bathroom, or a family room? Figure out what might be the BEST use of new space for all the members of the family. Where do you feel this addition might go? Will this be a vertical addition (adding space to the top of your home – for instance, finishing/increasing the size of your attic space) or a horizontal addition (adding space to the main level of your home)? 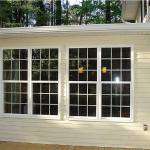 Establish a Budget/Explore Loan Options: A simple addition such as a sunroom or screened in patio can be an economical way to increase your living space, while a major enclosed room addition will be a bit more costly. By determining the need and the budget early on, this will aid you greatly once you sit down with an architect and ultimately a builder. Make a Wish List and Scrapbook: Comb through magazines and cut out pictures that best illustrate the look and features you want. Snap photos of friends’ homes that contain elements that you’d like to incorporate in your own home. Walk through new construction homes and take pictures of features that stand out to you. 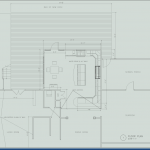 Jot down a list of items/features/benefits that you hope to have in your room addition. Put all of these things together so that you will have them on hand when it’s time to meet with your architect and builder. By doing so, you will give them insight to YOUR vision of the project and shed light on your specific tastes and sense of style. Contact a Qualified Structural Engineer/Architect: By bringing on a qualified structural engineer and/or architect early on in the process, you will be made aware of the limits and potential scope of your project. 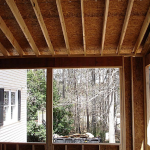 They can design a room addition to complement the style and structure of your home, and – most importantly – will make sure it is structurally sound and meets the requirements of state and local laws. Contact a Qualified Renovator/Builder: If you do your homework, you may be able to find a good design/build renovator or builder – someone who can take care of these last two steps for you. Make certain that they are licensed, registered and insured – and that they will take care of obtaining all of the necessary permits for you. Highlight Home Restoration offers a structural engineer, an architect, a master renovator AND builder all in one. Contact Highlight Home Restoration to get started on the exciting design phase of your room addition! Be Realistic About the Commitment: While just about anyone who’s ever added a room to your home will tell you it’s well worth the effort, they may also tell stories about the encroachment on their lives while the renovation is taking place. To add a room to an existing home, it is necessary to have a slew of contractors and inspectors at your home at any given time. Set limits with your builder regarding construction times that work best with your family’s schedule. Be prepared to live with a fine layer of sawdust on everything for a while. There may be days when you long for a return of your privacy – but in the end, you will be patting yourself on the back about what a great idea this was. When you consider the overall expense and commitment of selling your home and relocating, you could be saving yourself a great deal of money and hassle. Not only will it increase your living space and therefore your family’s enjoyment of the home – when and if you do decide to sell, it will increase the value of your home, as well! When you’re ready to begin, Highlight Home Restoration is here to help! We’re with you every step of the way – from initial consultation, to the exciting design process, to the acquisition of permits and materials, all the way through the construction phase. We listen carefully to your needs and wants, and have a solid reputation for exceeding expectations. We won’t just add a room to your home, we will create an entirely new living space where you and your family will make memories together for years to come. We adhere to both budget and schedule – we recently completed a room addition, deck addition and kitchen remodel in just SEVEN WEEKS! To get started, simply call us at 678-873-9234, e-mail us at info@highlighthomesga.com, or fill out our online contact form. We look forward to meeting with you and your family while we explore ways to give you room to GROW! Highlight Home Restoration, the design-build renovation division of Highlight Homes, recently completed a major overhaul project in Newnan, Georgia that involved revamping a 1970’s Galley Kitchen to something more open, fresh and exciting. The homeowners were so excited by the completely new look of their home’s interior that we wish to share a little bit about what we learned along the way. 1) Au Natural – Perhaps the fastest growing trend in our eco-friendly world is a major leaning toward the use of natural materials in both construction and design. Wood cabinetry, stone tiles, and granite countertops paired with real plants vs. artificial add to a warm and earthy feel to any kitchen environment. 2) Goodbye Linoleum, Hello Hardwood – The hottest trend in kitchen flooring is hardwood – it’s ageless, classic, and works in virtually every type of home and kitchen. PLUS, spills are a breeze to clean up! 3) Don’t Forget To Leave a Light On – Recessed Lights serve a great general purpose by lighting the room without distracting from the overall design, while a perfectly paired chandelier or handful of pendant lights can create an awesome focal point and enhance the room’s design. 4) Sometimes You Just Need a Facelift – If your cabinets are still in great shape (and aren’t a shade of ’70’s avocado green), you may be able to get away with just a facelift there. You can either reface your cabinets by adding new doors or just add new fixturing (handles and drawer pulls) to update the look of your kitchen. 5) Love Those Wide Open Spaces – More and more homeowners seem to prefer wide open floor plans to a cozy little breakfast nook. A contractor with a focus on structural engineering can often find potential where you may not have thought to look – simply removing a wall can open up a whole new world of possibilities for your home’s layout. 6) Make a Splash – A sometimes over-looked addition that can add an air of sophistication and depth to your kitchen is a tile backsplash. 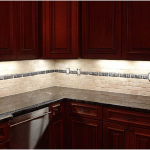 From a neutral combination to a colorful mosaic, a tile backsplash can bring character and enhance the decor of any kitchen design. 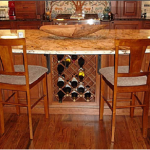 7)Don’t Take Your Countertops For Granite – Arguably the most popular choice for countertops these days, granite can also be one of the most expensive options. Either plan accordingly when establishing your budget, or make careful consideration of your options. Solid surface countertops, tile countertops, wood countertops and concrete countertops are all viable options at varying price points. 8) It’s a Steel! – Still wildly popular, stainless steel appliances have become increasingly more affordable. They can add an element of commercial kitchen atmosphere to make one feel like a true chef. 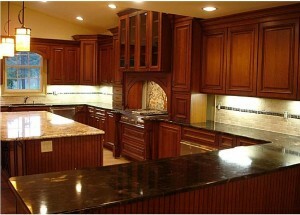 9) Color My World – It’s true what they say – the kitchen IS the heart of the home. Whether you are an aspiring gourmet chef or a master of the microwave, kitchens are also gathering places – the parlors of the 21st century. You better make sure you LOVE the color scheme. Neutral palettes continue to reign supreme, but you can add a splash of color with your accessories, glasses and plates. Warm colors like bold golds, oranges and reds are also rapidly gaining favor. 10) Get Organized – A growing number of homeowners are requesting built-in elements to aid them in the never-ending quest to get organized. A well-place office nook, a custom-built pantry or an island with built-in wine rack may be all you need to put more order in your life. 11) BONUS – Let’s Take This Outside!!! – Perhaps the HOTTEST trend in kitchens in recent years is the addition of an outdoor kitchen to your backyard oasis. A built-in grill with counterspace, wetsink, storage area and fridge could dramatically increase the number of backyard barbecues hosted by YOU! 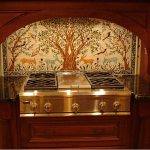 While some elements of a kitchen makeover can be tackled by the homeowners themselves, some things are still better left to professionals – i.e. knocking out walls, handling electrical wiring. 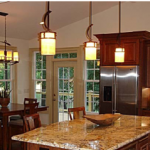 If you are considering a kitchen remodel, we encourage you to contact Highlight Home Restoration. Not only can we design the project according to your specifications, we can suggest additional changes that will add value to your home, acquire the necessary permits, and build your new kitchen on schedule and within budget. When you’re ready to get started on the exciting design phase of your kitchen remodel, call us at 678.873.9234, e-mail us at info@highlighthomesga.com, or fill out our online contact form. Highlight Homes’ Tony Pourhassan is in the News! During a recent interview with the Atlanta Journal-Constitution, Highlight Homes’ Founder Tony Pourhassan discussed the fact that it takes a very special kind of builder to make the transition into home renovations. Tony made the decision last year to take his land development and custom home construction company in a completely new direction by launching a renovations division – Highlight Home Restoration. Since making the addition, word is spreading quickly about the company’s dedication to excellent customer service, fair bidding practices, attention to detail, commitment to quality and unending ability to “go the extra mile” with surprising touches and unsurpassed industry knowledge. As the news gets out, Highlight Home Restoration is growing by leaps and bounds. 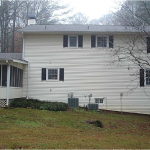 To learn more about Highlight Homes, LLC and its NEW renovation division – Highlight Home Restoration, we invite you to visit our website at http://www.highlighthomesga.com. If you’d like to read the full Atlanta Journal-Constitution article “Builders Working as Remodelers” by Michelle E. Shaw featuring further insights by Tony, click here. 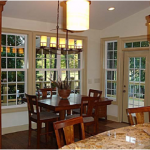 In the event that you are considering a home renovation project yourself, Highlight Home Restoration is here to help! 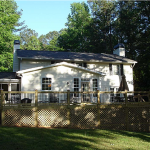 We can tackle projects of varying sizes and scopes – including kitchen and bath remodeling, basement finishing, room additions, decks & patios, sunrooms, landscaping, and much more. To discuss your project and request a consultation, contact Tony and his talented team of designers and contractors by calling 678-873-9234, by emailing your request to info@highlighthomesga.com or by filling out our online contact form. We look forward to hearing from you soon! As Spring takes hold and the promise of warmer weather persists, the desire to entertain outside will grow stronger. Spring holds endless opportunities for family picnics, backyard barbeques, neighborhood gatherings and al fresco dinner parties. What better way to wrap up a perfect Spring day than by swapping tales by the glow of a roaring fire? A stacked stone firepit or outdoor hearth can serve as a beautiful centerpiece to any backyard oasis. It can add an air of romance to your open air living space, while taking the chill off of those cool Spring and Summer nights AND increasing your home’s curb appeal. It will also prove a terrific place to roast marshmallows and tell ghost stories with the kids once Fall rolls back around. You could elect to purchase a chiminea or fire bowl for your backyard, but if you want a thing of beauty – something lasting that could transform your outdoor living space into one of your favorite “rooms” of the house – you should call the talented team of designers and contractors at Highlight Home Restoration. We can design a fire element that is a perfect fit for both your yard and your family. It can be as simple as a classic stacked stone firepit that borders your patio or as elaborate as an outdoor hearth with gas starter and mantle at the heart of your deck or terrace. Within days of calling Highlight Home Restoration, you could institute a NEW family tradition of evenings spent watching the firelight under a canopy of stars in place of evenings spent just watching TV. Getting started is easy! Just call us TODAY at 678-873-9234, e-mail us at info@highlighthomesga.com or click HERE to fill out our online contact form! We look forward to helping you and your family get “fired up” this Spring!